After any huge weather event, it’s not unusual to find a wealth of “flood-damaged cars” entering the marketplace. These vehicles are likely to have a lot of ongoing electrical and mechanical problems, so as a buyer it’s ideal to avoid them whenever possible. Flood-damaged cars can be tough to spot. Their problems often arise weeks or months after purchase. This report describes eight ways buyers can avoid buying a car that has been damaged as a result of flooding and how best to avoid purchasing one of those previously flooded cars. In the aftermath of several extreme weather events like hurricanes or heavy rains, you will inevitably find a range of “flood-damaged cars” entering the pre-owned automobile marketplace. Though some states have laws and regulations which mandate these cars be provided a flood designation in their titles, a number of other states don’t have any rules. This gap in law often contributes to unscrupulous sellers moving flood-damaged cars from states where the flooding designation is needed to states where they could sell the vehicle without revealing its flood-damage history. 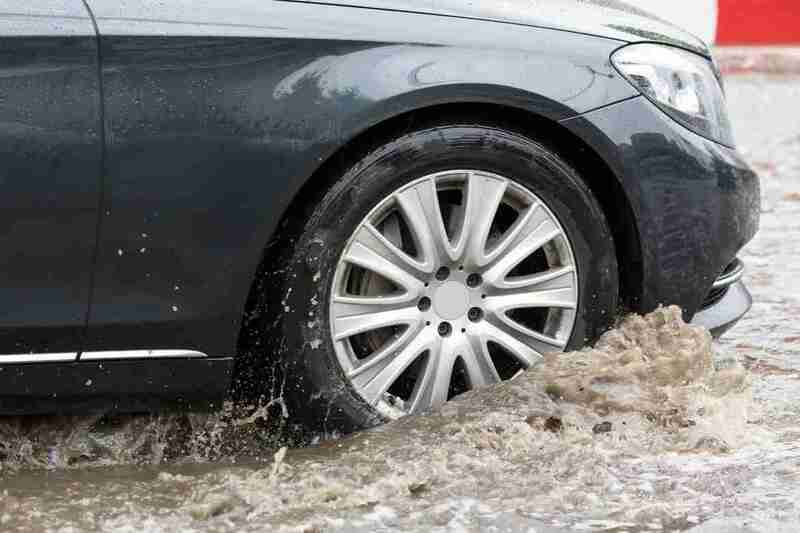 Most car dealers and individuals disclose flood damage to prospective buyers, but some do not. Thus, it’s important to learn how to recognize the tell-tale signs of water damage if you are in the market for a used car. A bit of research before you buy can save you thousands of dollars and weeks of heartache. 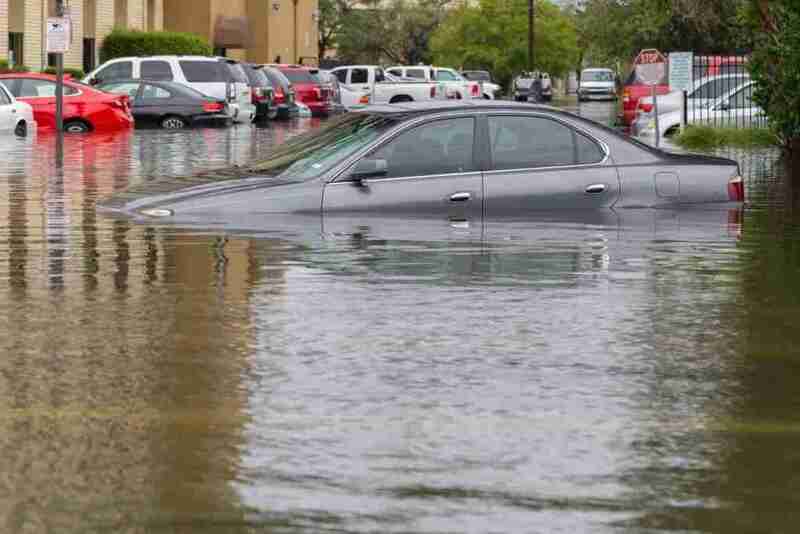 Keep reading for tips on how to spot flood-damaged cars. Cars which have been flooded in the past are likely to have ongoing electrical and mechanical problems that could possibly cost unwitting buyers thousands of dollars to fix. Therefore, if you reside in a state that does not offer flood disclosure, it’s a good idea to understand what measures to take to avoid buying previously flooded-damaged cars. While it is not foolproof, the simplest way to avoid buying a flood-damaged automobile is to purchase from a reputable, established automobile seller. Well known, reputable companies will probably not attempt to trick you into purchasing a misrepresented automobile because they are looking toward the future; they don’t have any reason to risk their reputations on some quick sells. The same is true for buying from a private seller. You’ll likely feel more comfortable purchasing from the neighbor than from somebody you found online. This doesn’t mean that you should not buy from a company or an internet advertisement; it just means that in case you do, you will want to be careful and ask more questions. Ask great questions, and get the answers in writing, though that’s not always feasible. Ask if the vehicle was flood damaged. If the seller won’t answer or you feel they are not being transparent, do not purchase from them. The quantity of money you are spending will determine how many questions you ask. If you are purchasing your teenager a $2000 car for his birthday, then you are going to approach it differently than if you are buying yourself a $35,000 sedan. Most reputable dealers will voluntarily offer a vehicle history report, but if they do not, request one. It will offer a thorough account of the car’s past and is your best assurance that the vehicle you’re buying is not flood damaged. If you are not supplied with a vehicle history report, you can order one yourself, but be sure that you obtain it from a respectable company. Carfax and Autocheck are two reliable businesses offering them for a reasonable fee. Thoroughly inspect the car history report before you even look at the car in person. If you see anything strange whatsoever on it, you might wish to consider this to be a red flag. Specifically, you need to be on the lookout for such things as the odometer readings, title problems, and any salvage history the automobile might have. Quite simply, the more you know about the car, the better. Review the title. If you see the words “flood damaged” or “salvage,” stay away from the car. Though it might appear a bit silly at first, giving the car a quick sniff test may be an excellent way to uncover potential flood or water damage difficulties. If the car just smells like old gym socks or the prior owner’s pet dog, everything is most likely normal. But if the vehicle smells moldy, you might want to reconsider buying it. Similarly, if the vehicle smells like a physician’s office, it might be a hint that the vendor is trying to cover up something. The simplest way to spot flood-damaged cars is to smell the inside. Mold and mildew have a distinctive odor that is tough to eliminate. Close the doors for a couple of minutes then crack one open and sniff. If it smells sour, do not buy. Beware of cars that smell too great; some sellers will attempt to cover up odors with fabric freshener. A clear synthetic odor should raise red flags. Search for stains, but remember that a few stains do not mean flood damage, especially if they are in the back seat where children usually sit. However, staining throughout the vehicle is concerning. Among the best ways to diagnose flood-damaged cars is to just look at them. Check for water staining or mold growth in areas where most people might not think to wash. This may mean checking out the bottom of the dashboard, the spare wheel area or beneath the floor mats. Needless to say, any indication of water damage may be due to a previous flooding. The vehicle’s interior is normally the best place to find visual confirmation of flood damage, but indications of harm also hide under the hood. A couple of leaves and a bit of dirt is normal, but if you discover dirt, leaves, sand, and silt covering the alternator, proceed with caution. Checking the oil may also provide hints about flood damage and inform you about the overall state of the automobile. Pull out the dipstick. Light brown oil is great and does not have to be changed. If the oil is dark brown, it ought to be changed, but the darker color does not signify water. If the oil looks muddy, like someone poured milk in the engine, then there is likely water mixed with the oil. It may not have come from flood damage, but water and oil mixed together is never a good sign. Inspect the light fixtures. Any moisture inside them is a fair indicator that the car was submerged. Check for tiny holes around the fixtures. Occasionally individuals will drill them to let water drain. A test drive may also offer clues. when you crank the car. Unusual buzzing and beeping should raise red flags. Check out the speakers. Distorted speaker sound is an excellent hint of flood damage. Check every knob, switch, and gauge. This will alert you to many prospective problems, not only those associated with flood damage. It’s a fantastic idea to hire someone to check the car out for you. No matter how well you looked it over, an expert mechanic may spot things you overlooked. The small fee they will charge could save you thousands later on. Although you can perform a relatively thorough inspection of the vehicle yourself, there’s always more to know. If you still are not certain about the flood condition of the car, you might wish to consider calling in a professional mechanic. They’ll have the ability to give you a complete report on the condition of the car and whether they believe it’s been subject to some flood damage. Whether you are reviving a flooded car or buying a used one, here would be the tell-tale indicators of a flood-damaged vehicle you have to be conscious of. Before turning these electric parts on for review, be certain the motor is safe to fire up. Every one of the plugs, switches, and relays have to be dried out. If you discover anything wrong with the way the certain component functions, that’s a very clear indication of electrical trouble. Moreover, if the ECU got soaked, have it checked immediately by a mechanic. 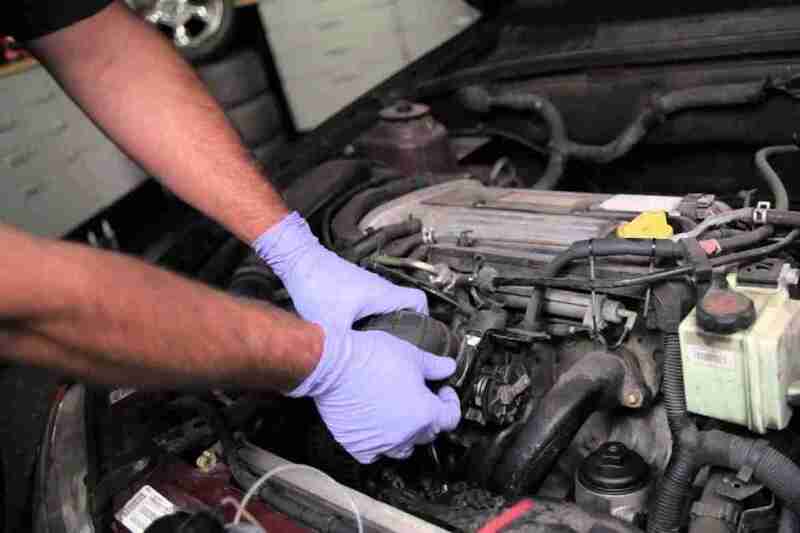 The engine is another crucial part of your car that requires the utmost attention after it is flooded. When floodwater reaches engine components such as the air intake and cylinders, the piston will attempt to compress it. Since water does not compress, it may break the piston rods and cause engine stalling. To discover if floodwater has entered the engine, check the oil dipstick for water droplets and oil which looks milky. Aside from car issues, flood-damaged cars also pose health problems to passengers and drivers. Submerged in floodwater, an automobile’s interior can quickly develop mold and mildew that can cause respiratory ailments like asthma and allergies. Some of the flood-damaged components, like the carpeting, door panels, and can be replaced. It’s possible to place towels on the floor and chairs to soak up water. Do not let water sit in your car for a long time. Floodwater may leave debris and sand on regions of your car which aren’t readily obvious. Assess the hard-to-clean places where debris or sand could be lodged. These include the motor compartment, wheels, brakes, underbody, and gaps under the hood and between panels in the trunk. Found a whole lot of debris and sand in your vehicle? Have it detailed to make sure that the hard-to-reach areas are clean. Rust takes months or years to form on the several pieces of a flooded car. It can weaken your vehicle’s structure and influence functions like braking and shifting gears. In the first signs of rusting after your car has been flooded, work instantly to remove rust from your car or truck. After being immersed in floodwater, brakes tend to shed grip due to the lack of contact between the brake pads and the wet brake rotors. Step on the brake pedal before you push on. If it feels slippery, have a mechanic inspect your car brakes. Water from the transmission, brake fluid, power steering, and coolant reservoirs can spell trouble for your vehicle’s performance. These components will get damaged because of rust and lack of lubrication. As an example, if floodwater is mixed with gasoline, fuel injectors, spark plugs, and the motor will be seriously damaged. So check your vehicle’s fluids at the fuel tank and filter, in addition to the power steering, coolant, clutch, and brake fluid reservoirs for floodwater contamination. Ask anyone about “automobile flood damage repair,” and many will say it is impossible. Even automobile insurance companies, known to prevent spending money, tend to just write off flood-damaged cars. When cars get hit by a storm surge or river flood, they may sit for days or weeks while water saturates everything. This can severely compromise your vehicle’s interior, electronics, and powertrain. Saltwater flood, even light flood, does the worst damage to automobiles. In actuality, some experts believe a salt water soaked contemporary automobile to be unfixable at any given level. Unless you’re ready to completely rebuild the vehicle, you must write off fixing a salt-water or long-term flooded car. Do not try to start an engine that’s been flooded. A hydro-locked engine, if it starts, will immediately destroy itself. If the oil level is abnormally large, water probably got to the crankcase since oil floats on water, which makes it useless as a lubricant. Blowing compressed air to the spark plug holes and intake helps. Be certain that you drain the oil and replace the oil filter. Based on the amount of flooding, you might have to drain the fuel tank to remove water contamination. Check transmission fluid levels, in addition to the transfer case and differentials, since these may also have been bombarded. Automatic transmission disks and bands have a tendency to delaminate in water. Manual transmission synchronizers can be destroyed by lack of lubrication, and a soaked clutch can corrode to the flywheel. Transmission problems might be allayed by completely draining fluids and refilling, and the clutch may work again as soon as you get the engine up to temperature. Pay special attention to safety systems, such as water-contaminated brake fluid or power steering fluid. Water-logged brake fluid, for instance, can vaporize resulting in a loss of braking power. Flush the brake system and power steering system. Brake pads and sneakers can spread rust to rotors and drums, but transferring the automobile may free them. Dry out the vehicle by removing the seats, carpets, and insulation completely. Park the car outside on a bright day, windows and doors open, and lay everything out in the sun — do not forget the trunk. Disconnect all electrical connectors and dry them out using a hair dryer or heat gun. 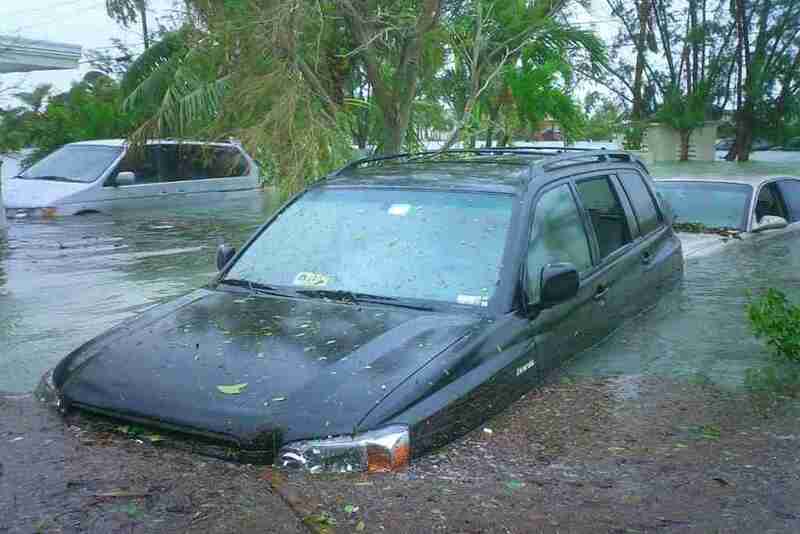 Flood-damaged cars can be tough to spot, but with sufficient scrutiny, you will have the ability to avoid buying one. Do your homework, work with reputable people, and think about getting a professional opinion before purchasing. Since purchasing an automobile is one of the largest financial moves that most people will ever make, it’s always recommended to be l00% percent confident in your choice. If you believe that there’s a chance your potential new vehicle has been subject to flooding in the past, it’s most likely advisable to just walk away and keep hunting.